One of Britain’s favourite cooking duos Si King and Dave Myers, aka The Hairy Bikers, have announced a huge tour for 2019. Visiting cities and venues across the country, the big-hearted TV legends will be chatting all things cooking for 37-dates in spring 2019. The down-to-earth cooks have been cooking together for more than two decades, exploring the length of the United Kingdom, travelling the world and creating beautiful dishes and haute cuisine with plenty of Michelin-starred chefs. Offering up fresh takes on cooking classics, Si and Dave have starred in numerous hit television shows, including The Hairy Bikers’ Mediterranean Adventure, Best of British, Everyday Gourmets and The Hairy Bikers Food Tour of Britain, plus many more. 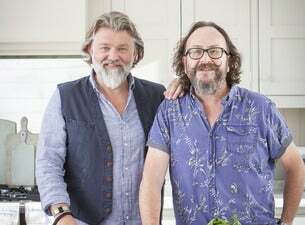 Their irresistible enthusiasm and love of good food has meant the popular duo have also written over 20 books including The Hairy Bikers’ Perfect Pies, Big Book of Baking and more, along with several hugely successful dieting cookbooks like The Hairy Dieters: How to Love Food and Lose Weight. The boys are no strangers to touring having taken their sell-out Big Night Out show to theatres across the UK in 2010, and completed a second ambitious theatre run in 2013.